It’s summer and some of you may be looking for something to do. You’ve exhausted most of your game library and now Friday nights largely involve sitting around the computer, talking about what you and your friends could do. Not to fear–those endless nights may soon be over. There is hope on the horizon, and that hope is Crawl. The first full release of Powerhoof’s Crawl came out recently on Steam and the Playstation/Xbox One online stores and it’s easily looking to be one of the best party games of 2017. 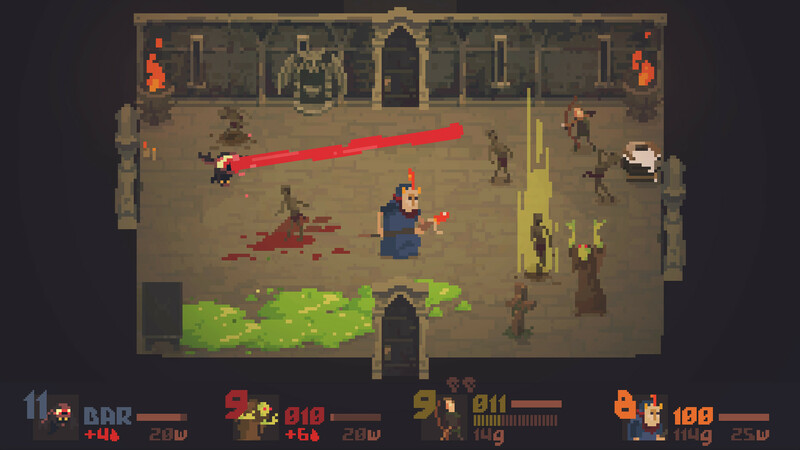 Crawl is a cooperative dungeon crawler that’s constantly shifting who’s on whose team. After the initial free-for-all at the beginning of each game, one person is left to play the hero while the others—now the spirits of their murdered human selves—are free to possess the various monsters and traps that inhabit the dungeon. When the hero finally dies, their killer is then reincarnated as the hero they once were, with the newly fallen to join the ranks of ghosts now seeking to kill this new hero. There’s no escape from this cycle, other than for the current hero to find and defeat the boss at the end of the dungeon. 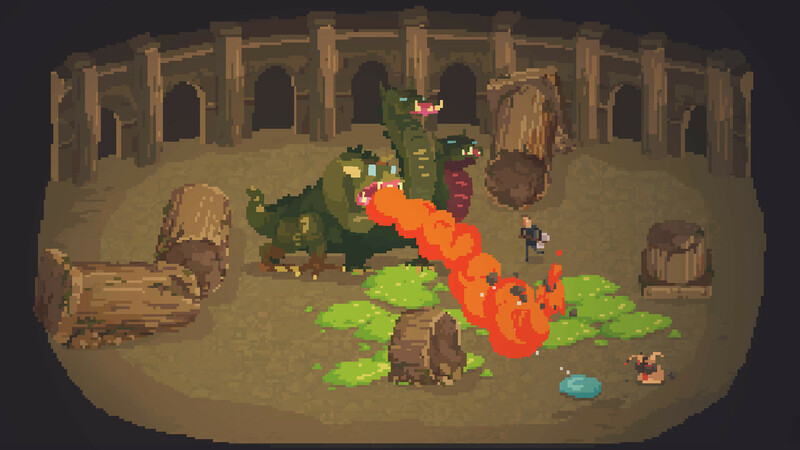 With its constantly shifting gameplay, Crawl is quite the wild ride. The action never really hits a dull moment, unless you happen to have friends who like to linger in shop rooms. Even then, playing as the ghost gives you something to do, as you collect ectoplasm to spawn slime monsters that you can then control to fight the hero. And while playing as the hero is preferable if you want to win, I found playing as the monsters to be just as enjoyable, if not more. Crawl is a collect-a-thon’s dream and alongside dozens of items and objects scattered throughout the dungeon, you will find over 60 monsters to control, who are themselves unlocked through objects and evolutionary ‘tracks.’ Between floors of the dungeon, players spend ‘wrath’ points to evolve their monsters, with each player getting additional points whenever another player levels up as the hero. Essentially, this means that the least well-off get the best monsters first, helping to make them human again and potentially even the playing field. 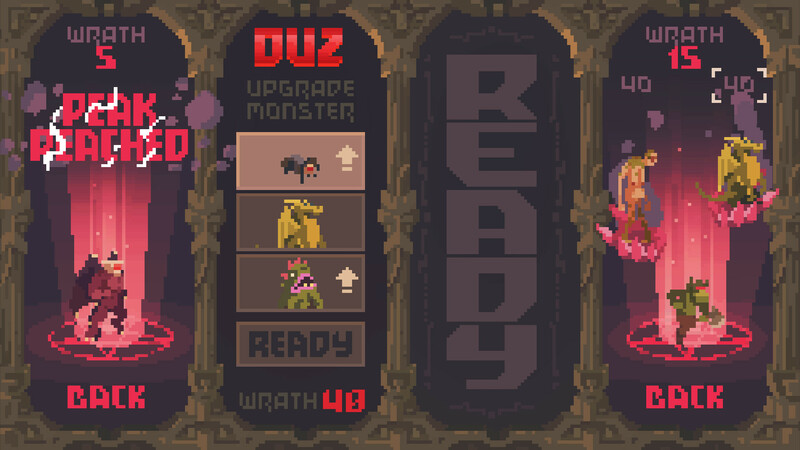 Deciding between monsters and evolutionary tracks can be difficult, and there’s a lot of replayability with Crawl in even just wanting to try and unlock all the monsters. If you’re someone with a competitive group of friends, then Crawl is great for you. Taunting your friends as the hero is a lot of fun, and the conflicting ambitions of the ghosts makes for an interesting dynamic whenever monsters are summoned, with each monster trying to get that key last hit. Honestly though, Crawl is fun for any sort of friend group. But that’s the caveat there—Crawl is really only fun with friends. Bots can fill in empty seats to make single-player possible and there are single-player challenge modes, but neither of these things really can compare with the excitement of multiplayer; of trying desperately to kill your friend as he rushes toward you, your other friends snapping at his back. You’re also going to need four controllers if you want the full Crawl experience (or three controllers and a keyboard, for PC owners). Unfortunately, Crawl is currently only local multiplayer, though an update may add online play in the future. Crawl is currently available for $14.99 through the Steam and Playstation/Xbox One online stores. Next Entry Welcome to B-Button!